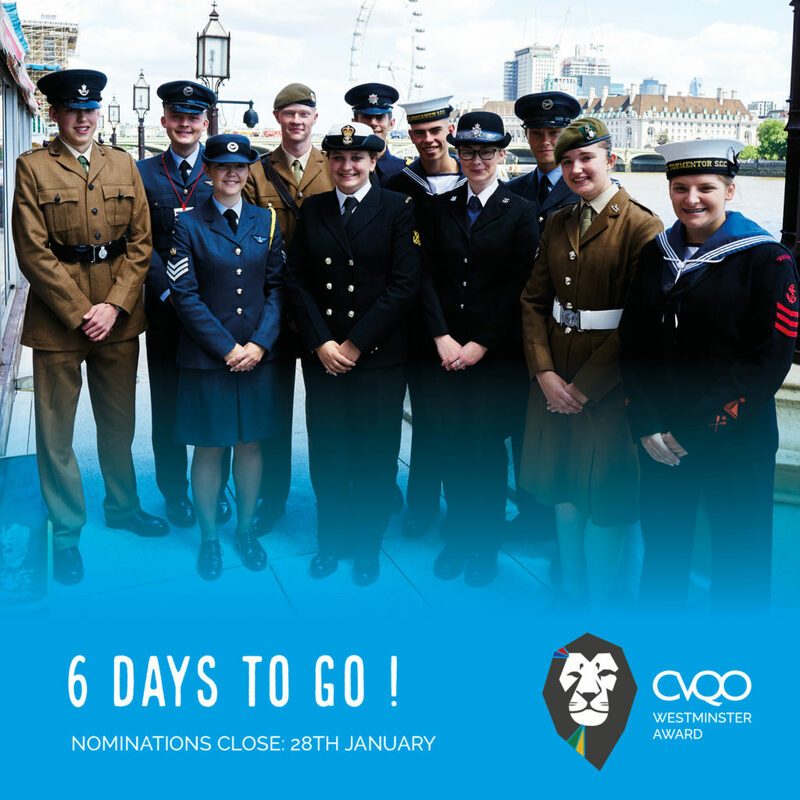 The CVQO Westminster Award is an annual competition which is designed to recognise and reward the most deserving CVQO learners in the UK. Each year CVQO invites cadet and youth group leaders to come forward and nominate a brilliant young person for something they’ve achieved. The criteria for the nomination is open. For example it could be that they’ve overcome a personal challenge, such as helping a family member or friend in need, undertaken some amazing community/charity work or are simply being an all-round terrific character. A two-week South Africa expedition in July. It all starts with a short nomination form. There can be one nomination per detachment/unit/squadron and nominations will close on 28 January!